Abstract: Scooters and mopeds are clearly one of the most common vehicle of urban transportation all around the world. But they are mainly designed for daily commuters, how about the old? Airwheel A6T self-balance wheelchair gives the aged experience unparalleled comfort and undeniable convenience. Airwheel has reputation and millions of fans all over the world in EV industry. In addition to meeting the travel demands of the teenager, Airwheel takes the increasing aging population into consideration and rolled out A6T. 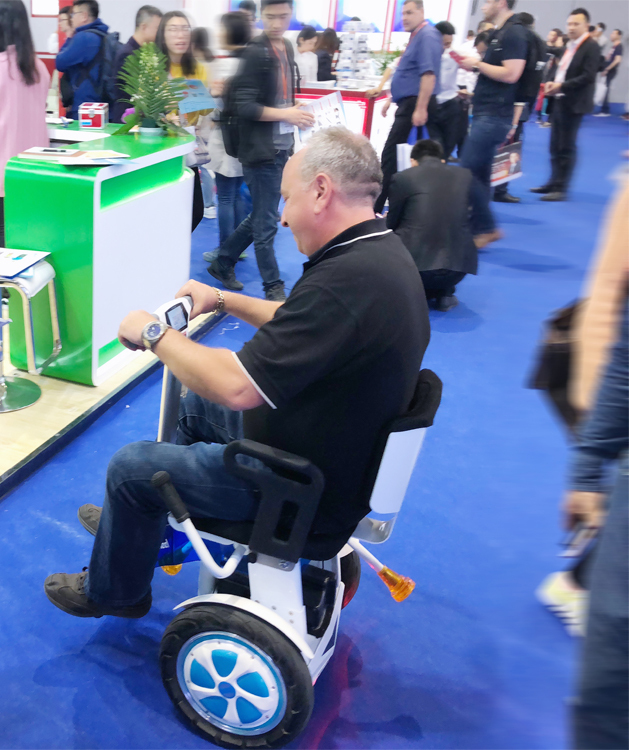 The main advantage of A6T intelligent self-balancing robot wheelchair is their convenience. For less than the cost of an Uber or Lyft, you have instant access to environmentally friendly transportation to take you all over the city. You don't have to pay parking, you don't have to sit in traffic, and you don't have to worry about vehicle insurance/registration/inspections, etc. 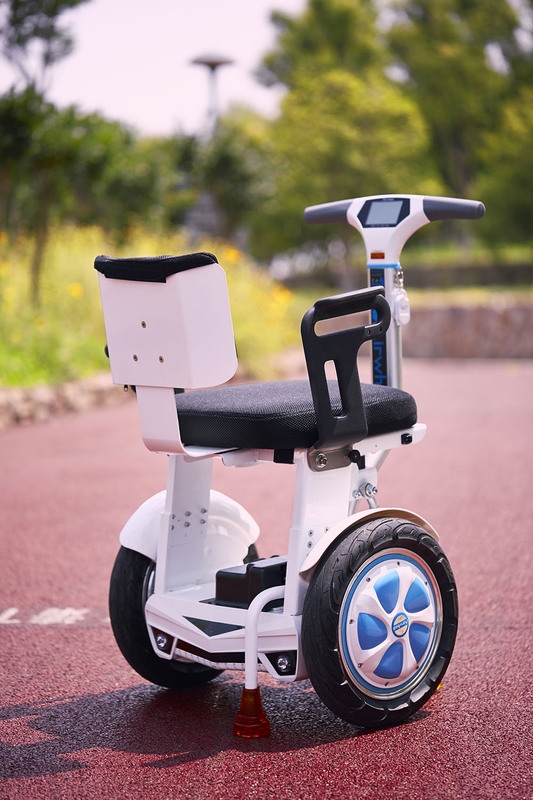 A6T smart self-balancing wheelchair requires no gasoline, making it an eco-friendly choice of transports. Every detail is carefully designed. Airwheel team keeps perfecting its product and always concentrates on product improvement and makes our rider enjoy a pleasant journey. The frame features a powder-coated finish, which keeps it as new as you first got it. Plus, the saddle design is pretty sweet. It features a padded and fully ergonomic seat that keeps you happy the whole ride. A6t installs removable handlebar that makes your turn directions easy. There is a 4 inch high resolution screen mounted on the handlebar showing the current speed, temperature, battery capacity, kilometers and more, so you can manage all information you need. It looks as good as it performs. A6T wheelchair with handlebar installs rear brake light. The red LED taillight will flash automatically when braking in order to warn following drivers and pedestrians. The high quality front and rear kickstands make it park stably and safely. Moreover, robust power enables you to ride with ease. The high-power, high-safety lithium battery supplies continuous power with high output. Battery life can reach enough miles for your trip. The hub motor improves performance and the normal slopes can be easily managed.